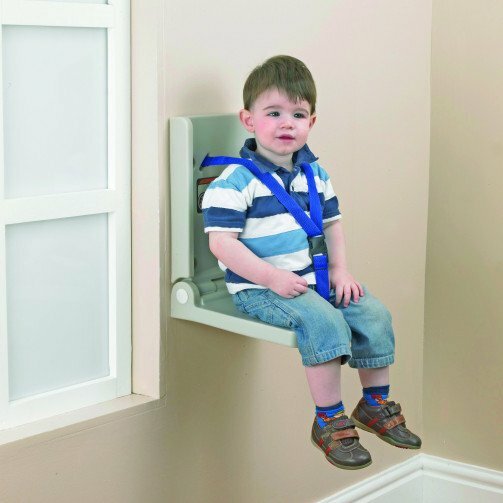 Supports up to 80lb (36kg) static load, three-point safety harness and concave seat provides a safe, convenient and hygienic platform, keeping infant away from the floor. Just 3' (8cm) deep when folded away. DERMA-TEK: The Infant Seat is made from Derma-Tek high density polyethylene which inhibits bacterial growth.